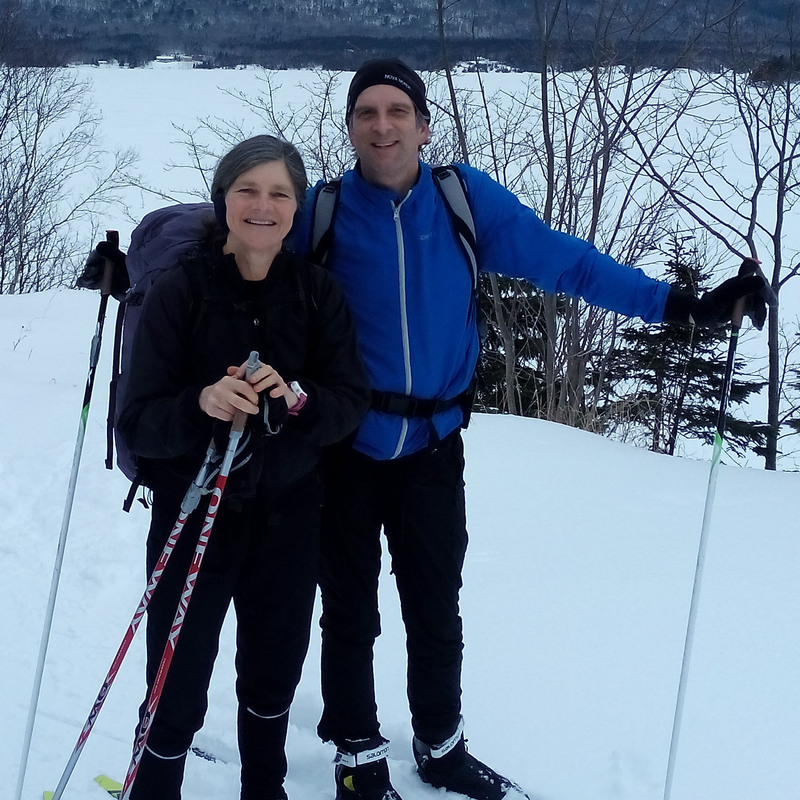 For the third year in a row, we — Michael Tut­ton, a divin­i­ty intern at Saint Paul’s Angli­can Church, Hal­i­fax, and his wife, Cathy — are ski­ing as Coureurs de Bois in the Cana­di­an Ski Marathon. The Cana­di­an Ski Marathon is one of the pre­mier cross-coun­try ski­ing events in the world and the old­est event of it’s kind in North Amer­i­ca. Along with the chal­lenge of the dis­tance and unpre­dictable con­di­tions, the min­gling of friend­ly Anglo­phone and Fran­coph­o­ne vol­un­teers and skiers of all lev­els of exper­tise and ages make this event both an adven­ture and a gath­er­ing. This year, on the 50th anniver­sary of this great Cana­di­an Tra­di­tion, Michael and Cathy will both attempt to ski the full 160 kilo­me­ters in two days, car­ry­ing all the gear they need to camp out overnight between the two days. The win­ter camp­ing, whether it is rain­ing, snow­ing or -25C plus wind, is a chal­lenge but it is also one of the high­lights of the Cana­di­an Ski Marathon. Vol­un­teers pro­vide hay/straw and wood for the fire and hot water. Young scouts and cadets clear the camp­ing area and clean up after­wards. They and all the oth­er vol­un­teers along the way make the Cana­di­an Ski Marathon pos­si­ble! It is their cheery sup­port in some­times bru­tal con­di­tions that have inspired us to find a way to “pay it for­ward”. Last year we raised $800.00 for the Feed Nova Sco­tia food bank at Christ Church, Dart­mouth. 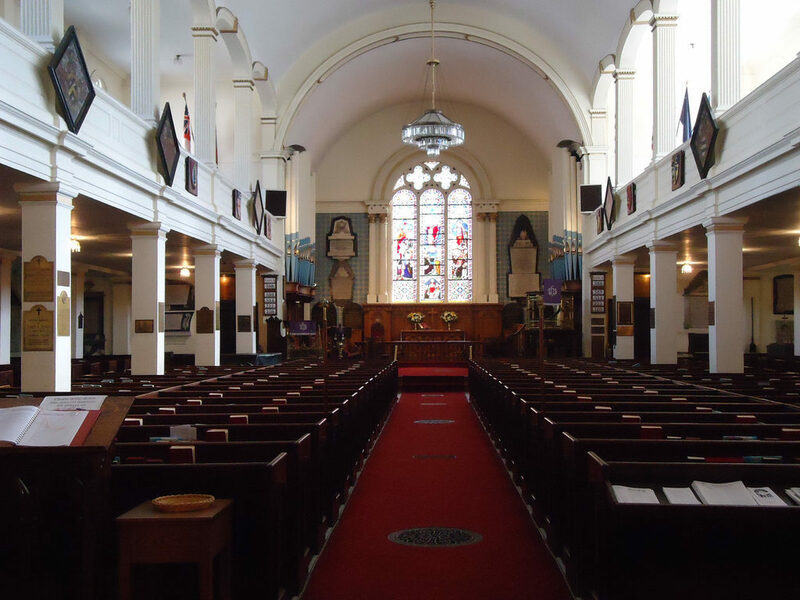 This year we would like to use our par­tic­i­pa­tion in this unique­ly Cana­di­an expe­ri­ence to inspire folks to con­tribute the Saint Paul’s Angli­can Church, Hal­i­fax refugee sup­port group. All the pro­ceeds will go to bring­ing a refugee fam­i­ly to Cana­da. If you would like to con­sid­er mak­ing a dona­tion to the St. Paul’s Refugee Spon­sor­ship pro­gram direct­ly, please click here Pledge Form or call the Parish Office. There are also paper pledge forms and envelopes avail­able at the church or from Mike or Cathy, who will pass along your con­tri­bu­tion to the office. Tax receipts are avail­able for dona­tions over $20.